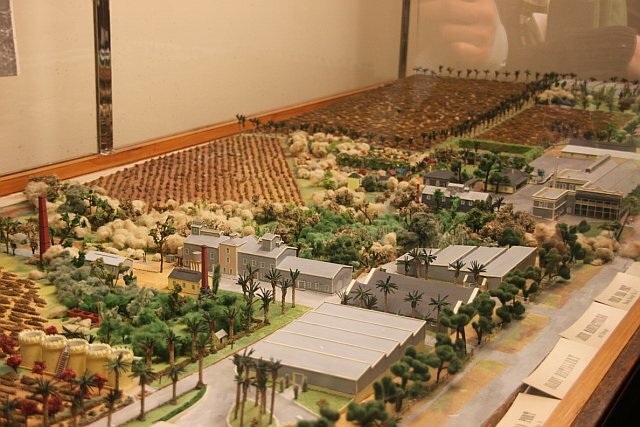 The grounds have several garden areas, including over 2,000 date palms, which were planted around the time of the Great Depression by the Seppeltsfield employees, who were happy to still have jobs. 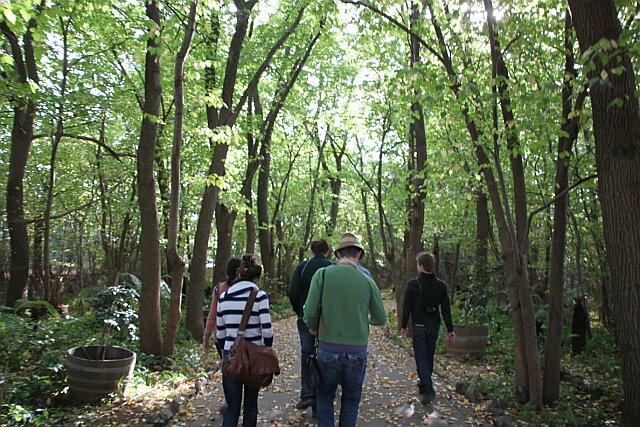 In addition to the palms, there's a rose garden, the Pine Forest and the Elm Walk, where we're strolling above. We did a tasting of 7 fortified wines. 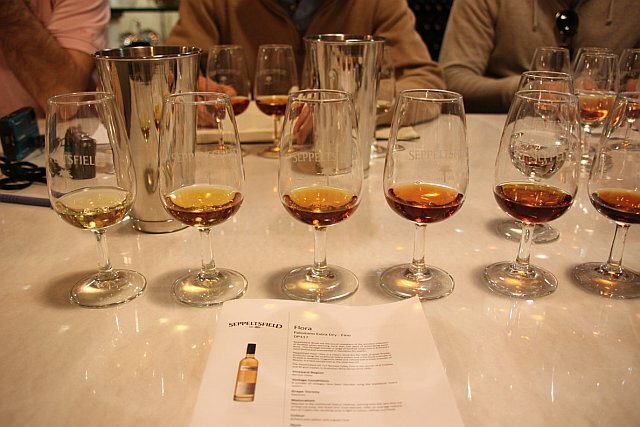 A wide range of styles was presented - from Fino-esque sherry through to XO Tawny. The Para Grand, made from Grenache, Shiraz and Mourvedre, with an average age of 18 years, was an incredible value at $32. Nutty, with caramel apple and orange blossom, it made me hungry for a cheese plate. The wine we were all waiting for came last. Yup, that bottle says 1911. 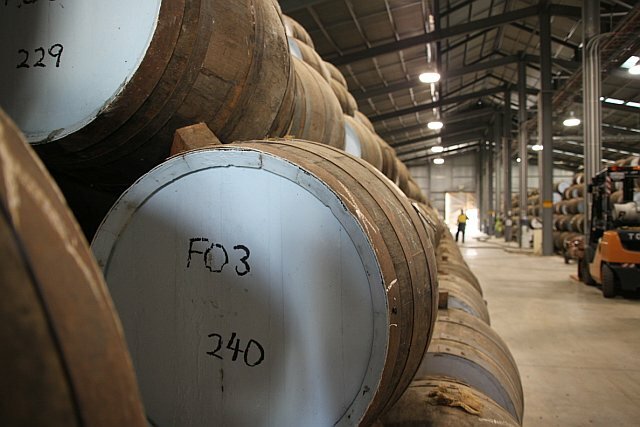 In 1878, the stone cellar was completed by Benno Seppelt and to celebrate, he selected a barrel of his finest wine and gave instructions that it was not to be bottled for 100 years. This became a tradition and Seppeltsfield is the only winery still with significant, consecutive stock of over 100 years worth of vintages. 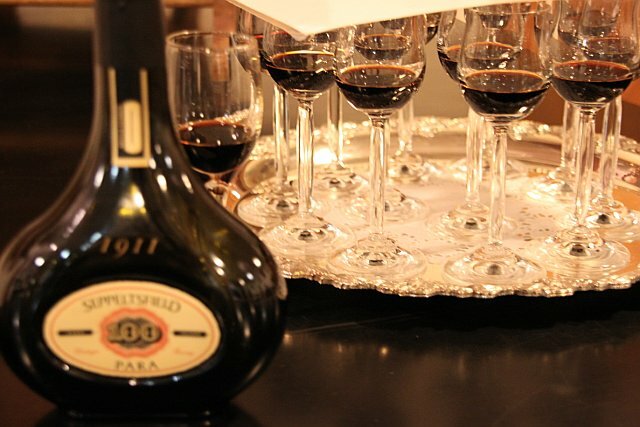 This particular wine was released on February 20, 2011, to celebrate the 160th anniversary of the winery. This viscous tawny reminded us of a fine aged balsamic. The tour continued after the tasting. A miniature replica of the Seppeltsfield grounds prompted one of my colleagues to proclaim, "It's like a dollhouse for drunks!" 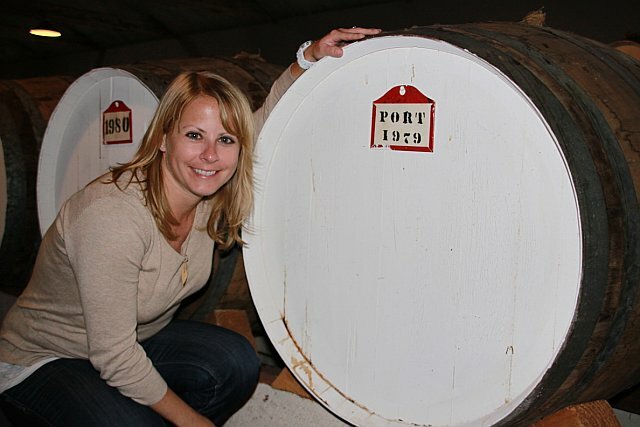 Like good tourists, we all had our pictures taken in front of our birth year barrels. Certain to be the best tawny in the lot, at 32 years young.